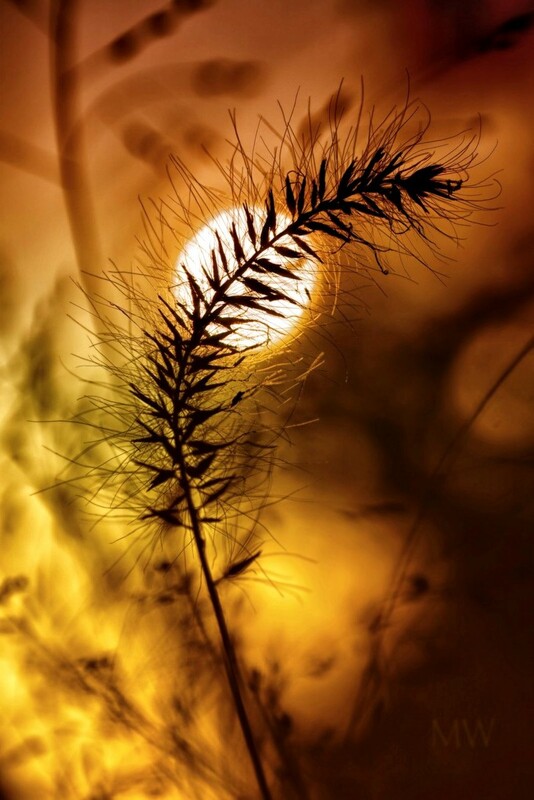 Chinese fountain grass (pennisetum alopecuroides), an ornamental grass, against a low standing sun. How beautiful! Love the colors and everything about the composition. I second all the superlatives, this is so lovely! Love the inclusion of the Latin taxonomy! Gorgeous shot! Great to get the angle right for this and not too bright! Love this, the colors. Beautiful. How did I miss this? Stunning shot! Congratulations Mona on your fabulous image making it to the Top Twenty! FAV!